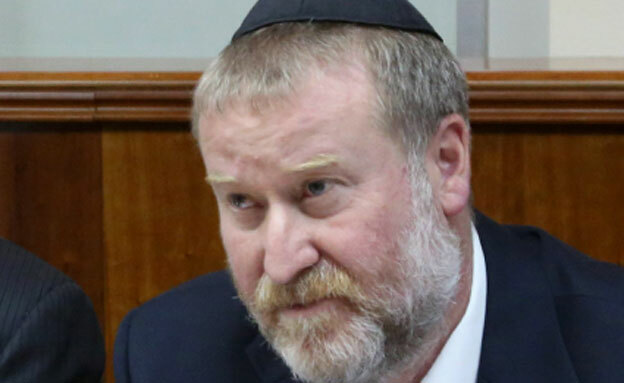 Attorney General Avichai Mandelblit let it be known Tuesday, Jan.23, that the police had no case for bringing the prime minister to trial for bribery. For more than two years, police investigators had been assembling this case against Prime Minister Binyamin Netanyahu around his custom of accepting lavish gifts from tycoons. Not a day went by, without police leaks to a flock of “investigative reporters,” who built glittering careers by carrying news that the police would shortly present an ironclad corruption case against Netanyahu. But on Tuesday, they were all struck dumb when “sources close to the attorney general” counter-leaked his view to TV Channel 2, which was that the police had failed to procure the evidence for the prosecution to go to trial. Mandelblit also warned that if the prosecution tried to bring the case to court, it would be dismissed for lack of evidence, and the party shown up for falling down on the job would not be the police commissioner, but the prosecution and justice system, both which would suffer a ruinous assault on their credibility. Most of the mainstream media were too shocked to react. They had relied on the absolute certainty of the prime minister’s criminalization for their lead stories year after year and it had vanished too fast for them to take it in. However, political and media insiders had known for some time that the attorney general had given the police due notice: You’ve done a great job, he told them, but if you will excuse me, the material you have submitted to me in “Dossier 1000” (bribe-taking) and “Dossier 2000” (inappropriate dialogue with a newspaper publisher) won’t stand up in court. I don’t see any evidence of bribe-taking by the prime minister. The only service he performed for the tycoon Arnon Milchen in return for his many personal gifts was to arrange his American visa. That service is not out of order when the tycoon in question contributed importance services for Israel’s national security. Questioning James Packer, an Australian billionaire and friend of the prime minister, yielded not a single iota of proof to support a charge of bribery – or even inappropriate behavior by the prime minister. The attorney general is reported to have proposed as a face-saver for the police the merger of the two dossiers, to be relabeled with the single charge of “breach of trust.” Even then, the chances of a conviction are marginal, he said, and even so, the charge is too minor to affect Netanyahu’s political activities as prime minister. One: The Israeli police, whose investigators traveled across the globe for two years, leaving no stone unturned, in their quest for evidence of wrongdoing powerful enough to unseat the prime minister. When they realized that real pay dirt was nowhere to be found, certain senior police officers picked up another weapon: a smear campaign. They pumped out leaks to the media of actions by Netanyahu that were presented as dubious and tainted with corruption. The campaign was seemingly authorized by Police Commissioner Ronnie Alsheikh, who was quoted in whispers running through police headquarters as having “declared war on corruption and determined to allow nothing to stand in his way.” No one knows for sure where the quote came from or whom it targeted. But whoever it may have been, the highest echelons of the police will have realized by now that they missed their aim. 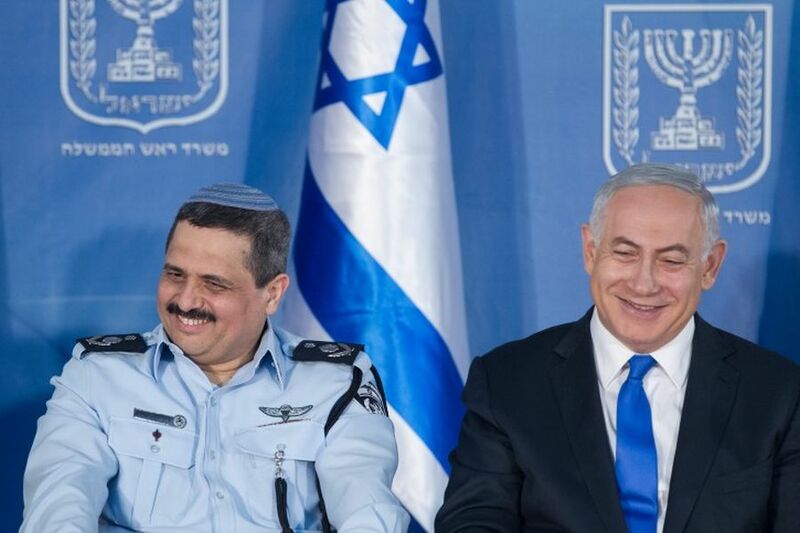 Tuesday night, it was announced that Commander Ronnie Ritman, head of the Lahav 433 unit, which led the Netanyahu investigation, had resigned. For Ehud Barak, who yearns for a comeback to political life, the prime minister’s guilt doesn’t need to be proven before a court of law, or even an investigation. “What everyone knows” is good enough for him, although several million other Israelis would insist on due process before presuming his guilt. Barack is not the only political has-been who trusted in Netanyahu’s certain comedown to offer a ladder for them to climb back to the top. Queuing with him were Yair Lapid of the Future Party, who bandies the word “corruption” in every sentence, along with his self-anointment as “the next prime minister;” as well as the newly elected Zionist Camp chairman Avi Gabay, who has still to make his mark; former defense minister Moshe Ya’alon and many others. They are venting their frustrations on the man who whipped the ladder out of their reach, the attorney general. For starters, he is threatened with “everlasting shame.” What about democracy? And how much contempt may be poured on the state’s system of justice! For more than a year, anti-Netanyahu protesters have been holding vigils outside the attorney general’s home, demanding that he put the prime minister on trial for corruption. Last Saturday, they heckled him outside the synagogue where he was praying. Three: The mainstream media enlisted its senior reporters and finest talents for the campaign to promote Binyamin Netanyahu’s downfall. What will replace their daily stream of “authoritative prognoses” that the prime minister’s guilt is absolute and his indictment imminent? Perhaps if they had occasionally mentioned a setback in the investigation and balanced their reporting, they would not now be stuck with having to eat their hats. They are likely instead to launch a new campaign. There’s nobody on the scene that can lead Israel through these troublesome times like Netanyahu. Yes, for all his many faults, Netanyahu is by far the best equipped. There are no other serious contenders at the moment. I disagree. The entire situation with the “palestinians” should have been handled years ago. If these people refuse to live in peace then they should be moved out permanently. This is what HaShem wants us to do. Everyone knows deep in their hearts that Israel is for the Jewish People. The Knesset continues to dance around the real issues. There are better people who can do the job than the current PM. blah, blah, blah, the dream is almost over for the golden calf of militant Zionism, the idolatrous state terror entity..
woe, Ariel, Ariel, the city wherein David encamped! Add year to year, the festivals shall terminate. 2. And I will oppress Ariel, and there shall be moaning and mourning, and it shall be to Me like Ariel. 3. And I will encamp in a circle upon you, and I will besiege you with a camp of siege, and I will erect upon you siege works. 4. And you shall be humble, from the earth shall you speak and from the dust shall your speech be lowered; your voice shall be like a necromancer from the earth, and from the dust shall your speech chirp. 5. And the multitude of foreigners shall be like fine dust, and the multitudes of tyrants like passing chaff, and it shall be a sudden happening. A simple example: Across the world from terrorists (controlling huge territories primarily the EU) kill about 30 thousand people a year and 200 – 250 thousand are injured. The left-wing Left EU, UN, the US is also a party to the “conclusion of the world” with the complete analogy of Gaza, Palestine – “peoples” in the EU and the US. Where will be their capital? By the number of them is 100 times more than the Israelites? When will the peace agreement come – between the insane on both sides? Israel only has one problem: The lack of desire or intellect to choose worthy people in the government. Today’s “government” of the Knesset gang battling for the portfolios of Jews, diluted for courage terrorists by the Arabs. Typical insanity: The Knesset discusses the “dictates” of religious Jews about observing Shabbat. Where are the busier and farther away? The consequence of religiosity, Zionism is the Jew. What are the “secular” Jews of Israel? An emigrant who hates a person with (peot, Hebrew פאות) …. and a Jew? Bibi played against the nomination of Trump as President. Bibi is against the policy of Trump with the terrorists of Palestine. Bibi: Avvas should “recognize Israel” – the crazy man’s demand for a terrorist. Bibi is not against the agreement with Hamas …….? About what? Financial assistance for the purchase of weapons ….? Murder of one Jew or American by an Arab (an infant, teenager, adult) in Israel for the left “investors” of the West, including Israel (the government) in the Arabs of Gaza and Palestine to manage at least $ 120 million. I never forgave BiBi for calling Rabin a traitor. But he is probably the best PM we can get right now. there are a lor of true patriots of ISRAEL e.g.Hananya Naftali a young IDF soldier !!! All the world respect him!!!! Great to see conservatism kick the left’s asses, whether in Israel or America. I knew Prime Minister Netanyahu was not guilty all along. He’s an honorable man. Did you heard what Yair Netanyahu talk about? You all here who supports this ‘Crime Minister’ are blind, If bibi wasn’t guilty, it shouldn’t be declared before a trial. Only a fair, transparent trials could prove his innocent/guilt. Bibi is definitely the best person currently for the job of PM. TG there is no case against him it seems because the Jewish people don’t need this distraction. I could never see how the the allegations ever added up to criminal corruption and I guess they didn’t.